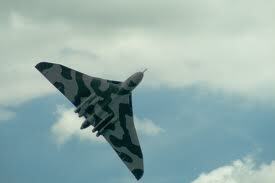 The event is being held in the hangar that houses the last flying Vulcan XH558, at what was RAF Finningley and is now Robin Hood Airport. 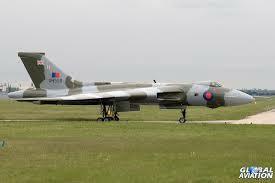 The evening will start at 7 pm with each table having an allocated time slot for a short guided tour of the aircraft by a Vulcan Volunteer. At 8pm a 3 course meal will be served, followed by guest speaker Martin Withers DFC, Chief Pilot and the pilot who flew to the Falkland Islands, to bomb Port Stanley Airport, talking about his experiences. Dress code will be Lounge Suits. The hangar is heated but ladies may wish to dress for warmth nonetheless. 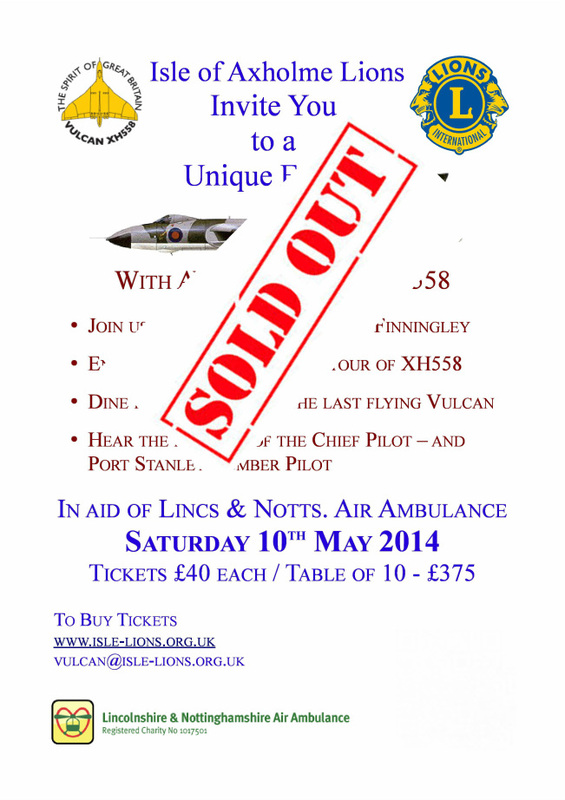 Tickets are £40 per person or a table of 10 for £375. We will be running a licensed bar during the evening.